A comparative analysis of rights scrutiny of bills in New Zealand, Australia and the United Kingdom: Is New Zealand lagging behind its peers? 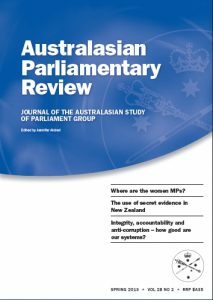 2011 ASPG Conference: The Executive versus the Parliament – Who Wins? Is the traditional role of parliament still valid in our society?